July 7, 2014, this exchange will take place in Germany. For 2015 there are plans to have it in our country, in Honolulu, Hawaii. The 55 Americans will stay with German host families during their 18-day exchange. They come from faraway Iolanie High School in Honolulu, Hawaii, and the University of Texas at Arlington. The German kids come from schools in the state of North Rhine Westphalia. Altogether, 110 international students will rehearse in a vacant building next to Emsland High in the city of Rheine. Under the direction of 14 German teachers and Tim Ishii, Dan Cavanaugh, Ken Edwards, Joe McCarthy and Lou Karfa from the Jazz Faculty of UT Arlington, and Curtis Abe from the high school in Hawaii, those kids will play their hearts out. The rehearsals will be in preparation of 4 jazz concerts to be performed in 4 different cities. This remarkable endeavor is being sponsored by RotaryJazz International Fellowship, German Rotary Clubs of Gronau and Tecklenburger Land, American Rotary Clubs of Arlington Texas and Honolulu Hawaii, Rheine Savings & Loan Foundation, German cities and German-American educational institutions. Jazz ‘n’ Youth Exchange is a fine example of what Rotary can do for the new generation; Building peace and friendship through the music of Jazz. 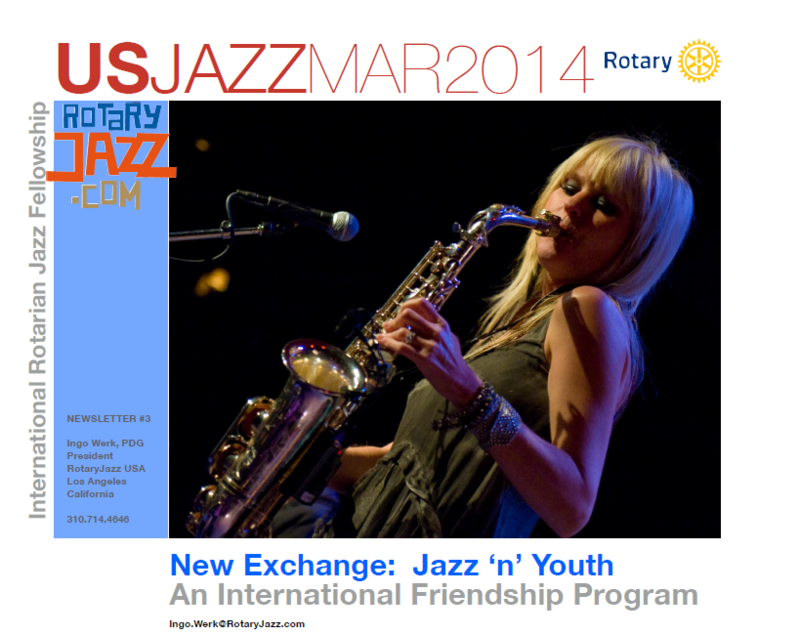 RotaryJazz Membership is free, rewarding and cool.